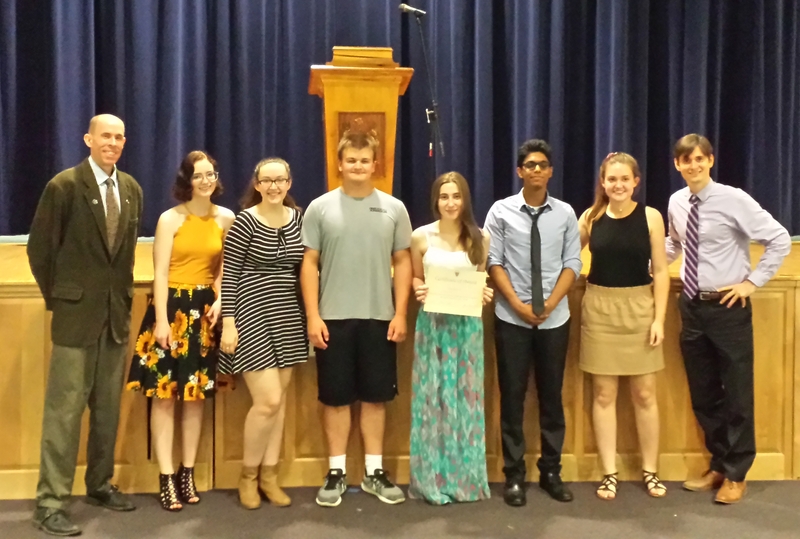 On Friday June 1, 2018, the Ethics and Economics Challenge speech competition took place at Merrimack Valley High School. Six students of the eight who went through the program presented speeches. Judges Janine Casavant, Gardner Goldsmith, and Jason Sorens were favorably impressed with all the speeches. In the end, one $500 scholarship was awarded to Emily Soule, who was also last year’s winner, for a speech on “Alternatives to Patents for Pharmaceuticals.” Congratulations to Emily!